Natalia Khanjenkova is the Managing Director for Central Asia and Russia at the European Bank for Reconstruction and Development (EBRD). Ms Khanjenkova was previously the first EBRD Managing Director for Turkey and Central Asia region based in Istanbul, underscoring its importance for the Bank. In her current role she continues to drive our business development efforts in China. 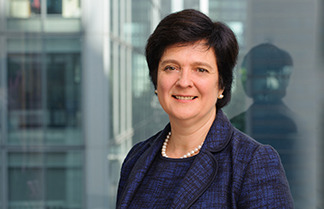 She began her EBRD career at London headquarters in 1993. Previous to taking up the position in Istanbul, she was Managing Director for Russia, based in Moscow. Ms Khanjenkova holds an honours degree in International Economic Relations from MGIMO.